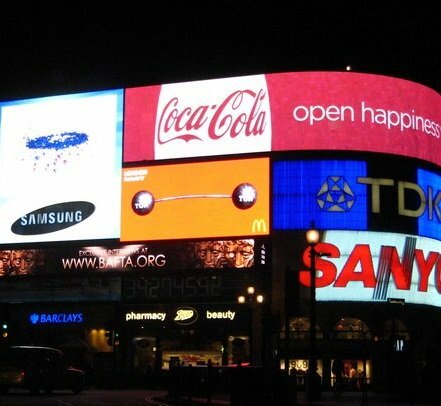 Firms in the advertising industry prepare advertisements for other organisations and design campaigns to promote the interests and image of their clients. This industry also includes media representative-firms that sell advertising space for publications, radio, television, and the Internet; display advertisers-businesses engaged in creating and designing public display ads for use in shopping malls, on billboards, or in similar media; and direct mail advertisers. A firm that purchases advertising time (or space) from media outlets, thereafter reselling it to advertising agencies or individual companies directly, is considered a media buying agency. Advertising spends in India are expected to grow 12.6% year on year to Rs 48,977 crore for the year 2015. The ad spend in 2014 was Rs. 43,490 crore, which reflected a 12.5% increase over 2013. The higher growth has been attributed to increase in spending due to elections (both general and state elections) and advertising from categories like e-commerce and telecom. Between 2013 and 2018, India is projected to be the second fastest growing advertising market in Asia, topped only by China. – Television shows a higher growth percentage in 2015 compared to last year with 16%. – TV channels will especially be bullish with cross media integration via their own digital platforms. – Print magazines continue to be on the decline, as several are looking at digital delivery mechanisms. – It’s wide regional reach shall still be an advantage that print advertising can cash in on. – Radio in India is expected to grow at a heartening 17% over the next 5 years. – It is expected to gain further popularity, backed by increased device adoption. – With the auction of phase 3 FM licensing announced by the GOI, increase is expected in the listenership and the share of revenues for the Radio segment. – This growth was driven by the fact that consumers are spending more time out of their homes and the chances of seeing billboards and other mediums of OOH advertising are much more. – Transit advertising is emerging as the fastest growing segment of OOH advertising. The major categories are billboards, transit, alternative, and street furniture. – Cinema advertising is expected to grow by 20 per cent, as multiplex chains consolidate. – This growth was driven by the fact that the medium becoming more organised and accountable. – Ads in cinemas are anywhere between 30 to 60 seconds, giving advertisers more room to drive home their communication message. – Cinema advertising, at the end of 2014, clocked a 25 per cent increase in spends. – Digital media continues to show the maximum growth with 37% in 2015. – Video, Mobile and Social to be the biggest growth drivers. full-service digital marketing and consulting agency, based in Mumbai. Dentsu acquired an 80% stake in Webchutney, a digital marketing company. Komli Media raised 30 million USD from new investor Peepul Capital. Komli Media is Asia Pacific's leading media technology company. This is one of the top digital marketing firms of the country. Boston Consulting Group, Airtel, MakeMyTrip, BookMyShow, Tata Motors, Unilever, P&G, HP, Airtel, Microsoft, carslberg and Suzlon. Digital solutions range from website development to online marketing that includes social media and search marketing, as well as media planning and buying. Hero Honda, airtel, Microsoft, ITC, HUL, Kellogs, GroupM. Pond’s, SESA Goa LTD, GE, HDFC Bank, ITC Hotels, Sony Pix, Hindustan Unilever Limited, Lavasa, Thomas Cook, TVS Scooty, Bajaj Allianz, Emerson, Sony Music, Red Bull, ebay.in, Marico, Tommy Hilfiger, Sil, ITC-WelcomGroup, Ginger, Big Bazaar, etc. Services that are focused on marketing solutions which aim towards various digital formats. Provides end-to-end, creative content marketing services and products.